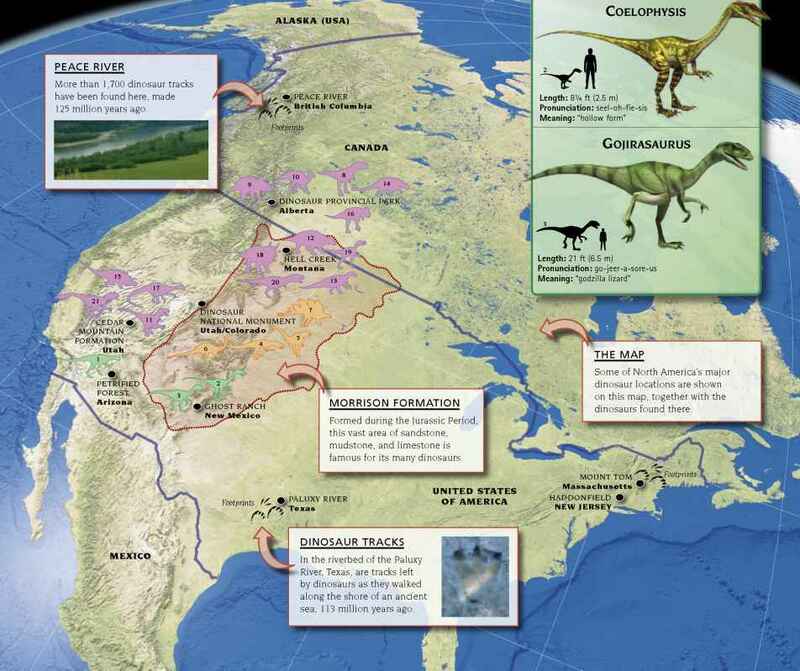 When a dinosaur fossil is discovered, it is usually a confusing mess of bones that have been pulled apart by scavengers or swept into a heap by the elements. 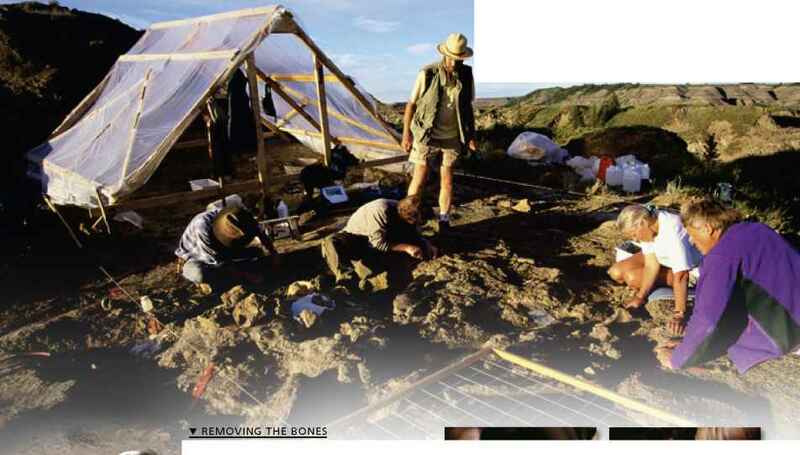 Once the bones are exposed, the first job is to record their exact positions and any details of the site, since this may provide valuable clues about the animal's anatomy or life. 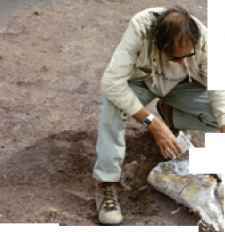 Only then can excavators carefully remove the fossils, clean them up in the laboratory, and analyze and preserve them. They may then be used to make a replica skeleton for display in a museum. The bones are usually buried beneath layers of rock. The upper layers may be scraped off by machines, but the excavators remove the lower layers very carefully, using fine hand tools. They then place a wire grid over the exposed bones to divide the site into smaller areas that can be accurately mapped. Every bone is numbered and photographed.